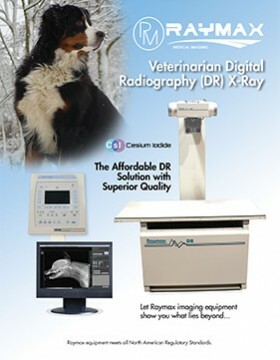 The Raymax Veterinarian System features digital radiography (DR), a high frequency generator, and a 4 way float table. 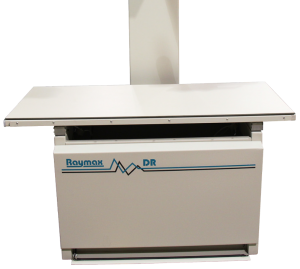 It is an affordable complete Digital Radiography (DR) solution with superior quality. Detector Type: 16 Megapixel KODAK extreme KAF series CCD Detector Chip. Acquisition Time: Approximately 3 to 5 seconds from Exposure to Displayed Image. Recycle Time: Zero Time Lag Between Subsequent Image Acquisitions. 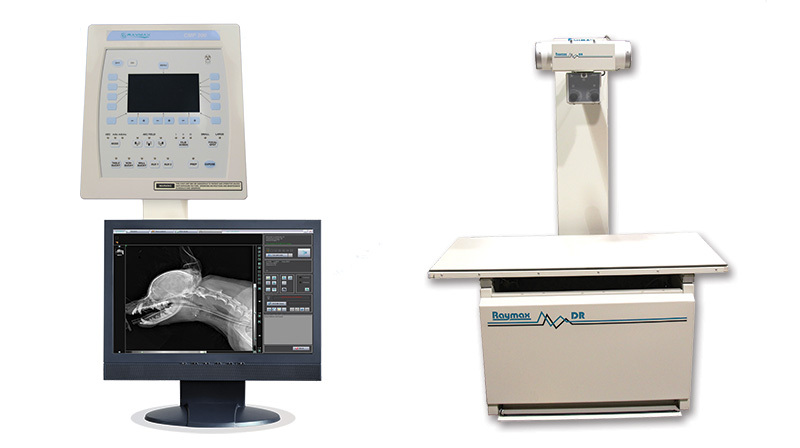 DICOM Format: Full DICOM 3.0 “Push/Pull” Connectivity to HIS/RIS and Practice Management Systems. Easy to Burn CD with on Board Auto Launch Mini Viewer.